Roughly half the homes that Maine solar installers visit aren’t well situated for installing electric or hot water panels. But that means half will work, either with a rooftop array or one mounted on a pole on the property. How’s your home? What direction does your roof face? True south is best, of course. That’s 196 degrees on a compass in the Portland area (180 degrees, plus 16 degrees to account for magnetic declination). But installers say performance can remain very high facing as far as 45 degrees to the southeast or southwest. Performance also will vary depending on the altitude angle, or tilt. One rule of thumb is to seek a tilt angle in line with your location’s latitude. So in Maine, the 45-degree angle on a typical Cape-style home is good. A more shallow angle, such as a 30-degree angle on a Ranch-style home, will capture more direct sunlight in the summer, when the sun is higher in the sky. Solar panels also should be free of shading at least between 10 am and 2 pm, so consider trees (which can grow over time) or buildings that block sunlight during those hours. For cost, use an online solar calculator such as this one on the ReVision Energy website to estimate your investment. Say you have a total electric bill of $80 a month, which is typical for a home in Central Maine Power’s service area. And say you want to offset 100 percent of your demand on an annual basis. The gross installed cost would be roughly $18,000, according to ReVision. The 30 percent federal tax rebate reduces that to $12,600. Because Maine has no state rebate or other solar purchase incentives, that’s your final cost. ReVision also calculates the estimated monthly payment to amortize a 12-year loan, which is $124. Solar electricity can have other values as well. Many customers appreciate the long-term stability of knowing that, after the system is paid for, their power costs will be virtually nothing. Some also put a value on reducing emissions that contribute to climate change. In the example above, ReVision estimates the system will offset 4,590 pounds of carbon dioxide production each year. 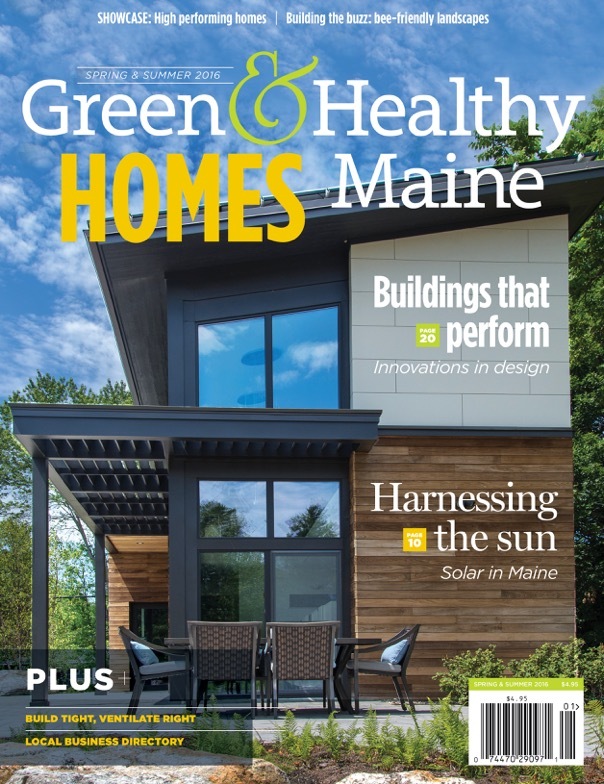 This article is reprinted from the spring 2016 issue of Green & Healthy Maine Homes. Subscribe today!